We are a factory only. We can offer competitive price and fast delivery time and good fit hand tailored latex products. 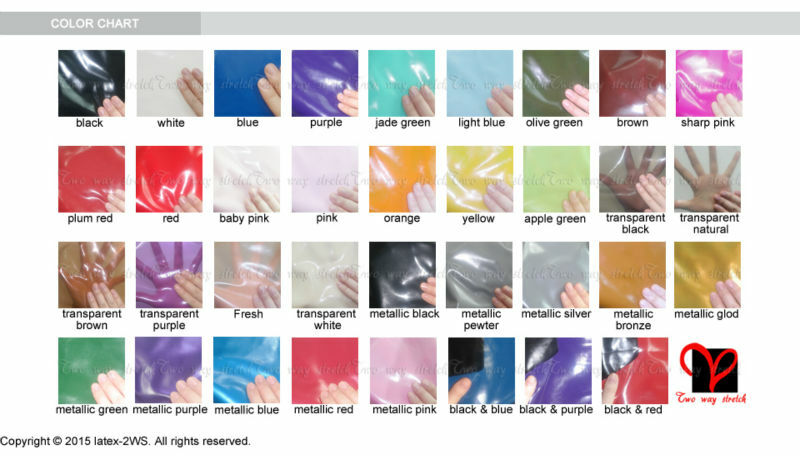 *** Since 2008, we have been specializing in the R&D, marketing of latex product. *** Copy of our pictures of workshop without the permission of us is unlawful. 1. Photos may slightly different from actual item in terms of color due to the lighting during photo shooting or the monitor\'s display. 2. Photos are with latex polishing, but the actual item is without it. It will charge more USD8.00 for the extra cost, please contact with our Customer Service. 3. Hand tailored should be charged more USD15.00, please contact with our Customer Service. Link for "Hand tailored charge USD15.00 "
Your new latex clothing will remain in good condition and give many years of enjoyment if looked after carefully. 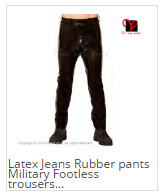 Pulling on latex clothing – which tends to be tight and fit snugly – can easily damage it, leaving permanent finger marks, stretching, or even rips and tears, in the material. Have patience, and use baby powder generously on the inside of your garments. Another option is to use a silicone-based shining product or a NON oil-based lubricant to make putting on your clothing easier. Instead of grabbing the latex material with your fingers, which increases the likelihood of leaving finger indentations or causing damage to your clothing, use your whole hand to pull the clothing. Use your hand to shift the latex and gradually shift until the garment is in place properly and you are comfortable. Use as much baby powder or lube as you feel you need; excess can always be wiped off as needed. Be sure to watch your fingernails and any sharp edges on jewelry or watches, as these will catch the latex and possibly cause a tear. To remove your clothing, follow this same ‘pull and shift’ method to remove garments with care. Hand wash latex clothing in mild soapy water and hang inside out to dry (or towel dry). On no account iron your latex clothing! Clean latex clothing within a couple of days of wearing (leaving them dirty with sweat and body oils weaken them). Do not allow light colors to come into contact with copper-based items (money, jewelry- some jewelry appears silver but contains a copper core) because it will stain very badly. Take care especially if you have been handling such items as even your hands may stain the rubber. Never expose your garment to naked flame and fire as rubber burns. Keep latex clothing out of sunlight and always dry them out indoors and away from sources of light such as windows. Always store latex clothing in a dark place (it’s quite a good idea to hang them inside a black plastic refuse bag!). Latex doesn’t like oil, so don’t rub your latex clothing with it or allow them to come into contact it in any way (clean hands are always a good idea!). Store lighter colored latex clothing so they are not in direct contact with any darker pieces (the darker color can discolor the lighter ones if left together, even for a short time). Polish latex clothing or powder lightly before storing, to prevent garments sticking to themselves. 3. 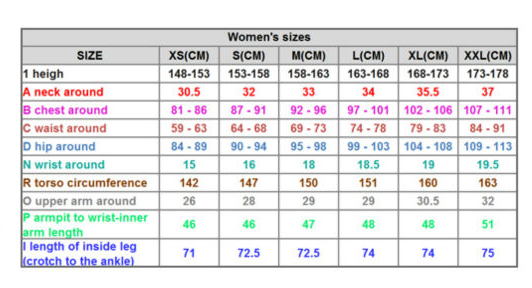 All of our latex products can be made to measurement except the item which made by mould, please fill in attached blank size chart, that we can make the garments fit you well. 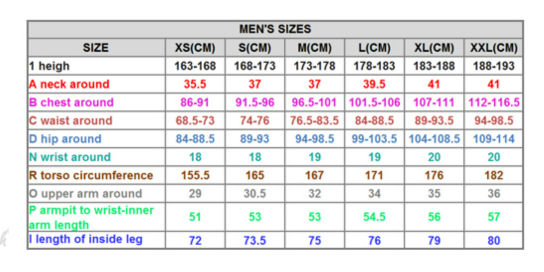 And we are only charge 10% surcharge for the MTM garments, larger than 2XL will attract a 20% surcharge, larger than 4XL will attract a 30% surcharge. If you cannot find the suitable one for yourself, we can make it if you can provide the photo and your size to us. 1. We will start production after receiving the payment, and for one garment, it takes about 7 to 15 days after receiving the payment (lead time), for delivery, 4 working days worldwide by DHL. 2. Drop Shipping support, it need you leave correct delivery details in the order. 3. If you want to change shipping address, please contact us before shipment, and leave the final address in order page via message. 1. If you are satisfied on our products, we will be appreciation that you give us a 5 star positive feedback. 2. Please contact us before you leave negative or Neutral feedback, we can work together to resolve any dispute. 3. Your encouragement and support is our continuously forward momentum. We will do our best for your satisfaction. 2. If you receive defective product, please contact us within 7 days after you get the package, we will find out reason and give you best solution. 3. If you want refund or replacement, please ship back package in 7 days after you received the package, and pack in good condition. Return shipping will be prepaid by buyer.